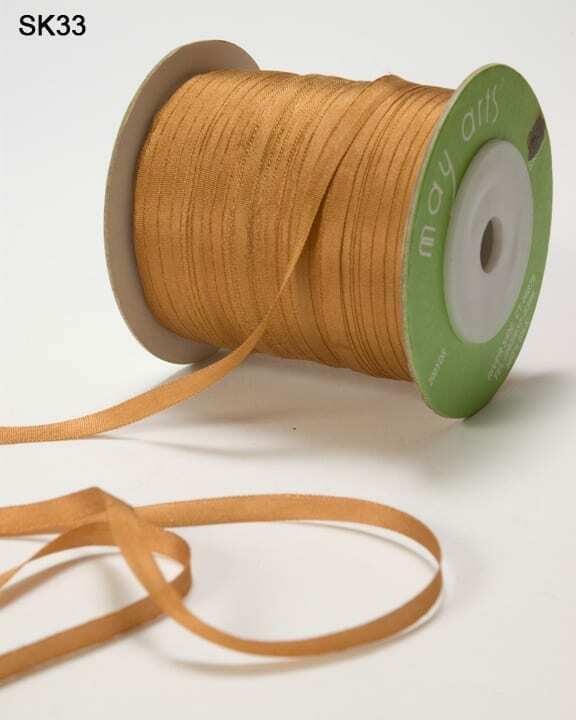 This 1/8 inch by 200 yards ribbon is 100% silk. 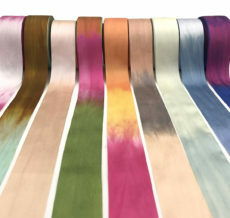 May Arts’ silk ribbon is a handcrafted distinctive work of art. 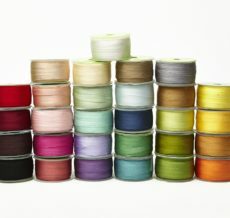 Each product is dyed using old-world, labor-intensive methods and crafted with the finest silk thread. 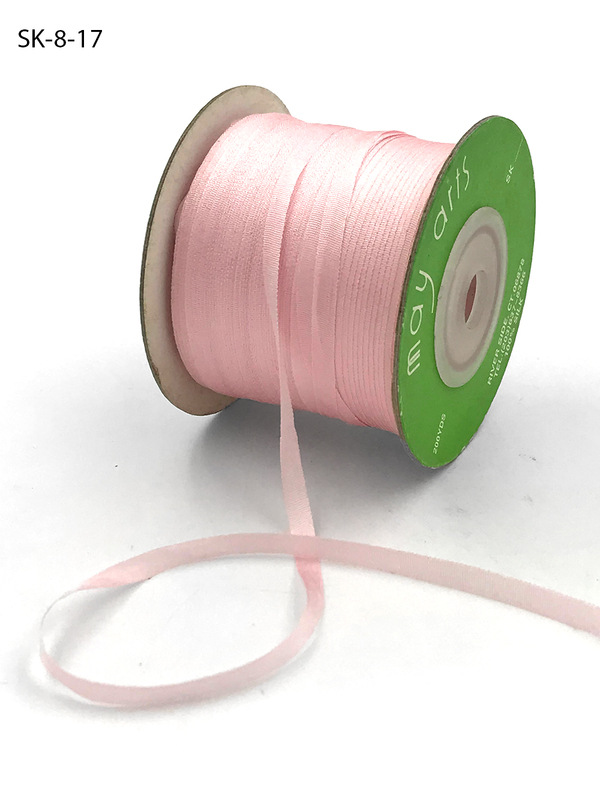 Silk ribbon is truly an heirloom product singular in its beauty. It would be perfect for gift wrap, card making, sewing, scrapbooking, hair bows and home decor. 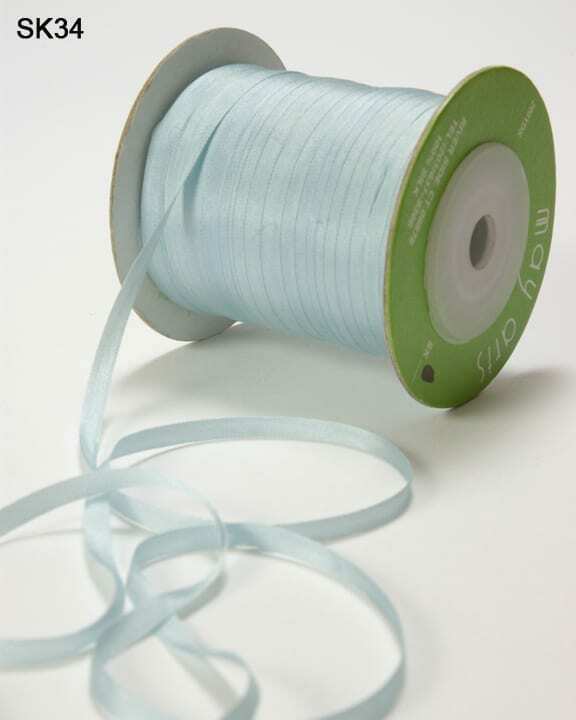 This ribbon would also be ideal for floral arrangements, weddings, Valentine, summer, Christmas and winter projects. Also available in a 1/4 and 1.25 inch width. 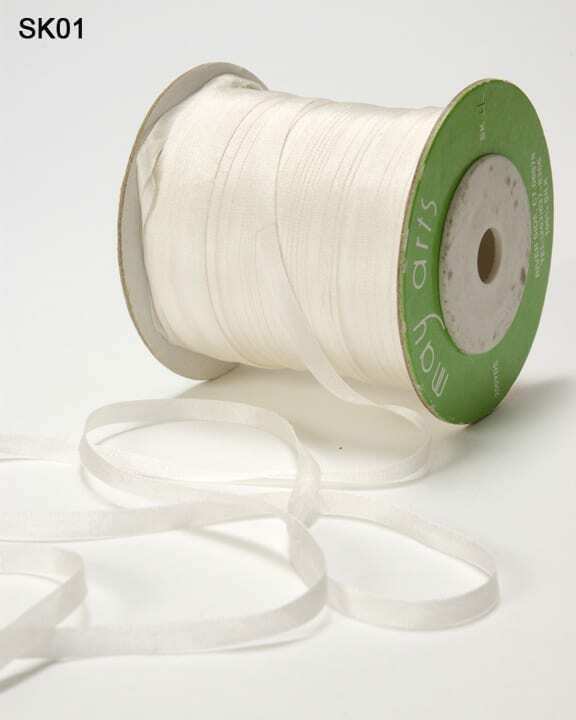 May Arts Ribbons’ silk is what is known as China Silk. China silk is soft, lightweight and lustrous with a graceful drape and a smooth surface. 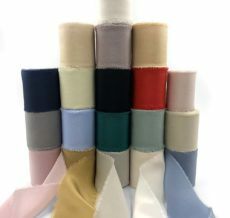 Silk ribbons are hand wash only in cold water with a mild detergent and no chemicals.